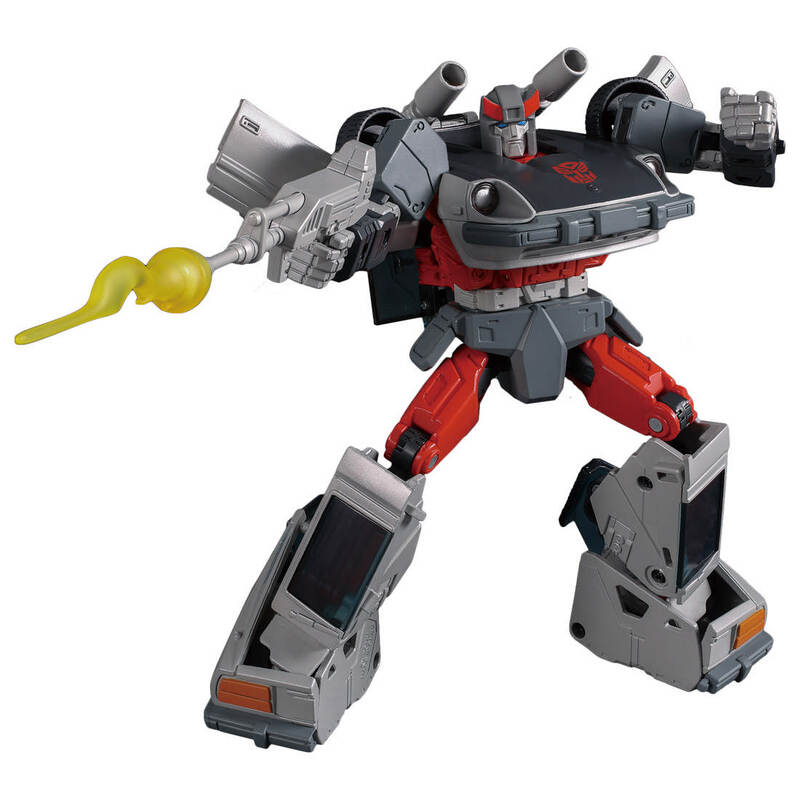 While the recent reveal of the Masterpiece MP-18+ Masterpiece Bluestreak (Anime Colors) announced this figure as a Takara Tomy Mall exclusive, pre-orders have started popping up on our sponsors sites. Due to ship in Late July 2019, this version of Bluestreak features a more matte cartoon-accurate paint job, new faces, and effect parts that can plug into his gun or shoulder canons coming directly from the show. Click one of the sponsor links below to get your pre-orders in before they’re all gone!